I'm going to show you a technique through which you can install easily .ISO ( image ) file to your computer. First I will tell you about ISO files. It is the archive file which is also known as disc image of an optical disc contain data. It is a compressed file. Now most of the installation setup is in ISO file because they are more handy and easily downloadable. But for some peoples it very annoying that they cannot know how to install ISO file on their computers. Their many methods to install ISO files. One of them I discussed below. You can also install these files by extracting it through winrar. You will see the setup in the extracted part you just simply click it an install the program to your computer. 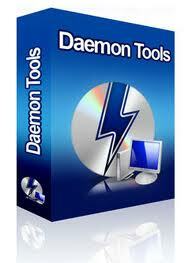 Download alcohol or daemon tool software.. You can make up to 31 virtual drive through alcohol the disk image fast upto 200 times faster than conventional CD or DVD drive. I, LL prefer alcohol 120%.. After installing creates a virtual drive or it automatically create one. Open alcohol yo virtual drive with the brown disc icon. Select that button.new window will open select no drive. We just need one now. Now open the my computer you will see the extra drive. Right click on that drive. You will see the mount image option. Now select the ISO file where you place it. Now simple setup option will appear where you can install the file. If you face any problem don,t hesitate to ask. Don,t forget to share it and like it. Don't waste time researching the best app building platforms or spend time or money building another app until you read this! In order to be a successful iPhone app developer, you have to make a great app and then market that great app. That is much easier said than done.